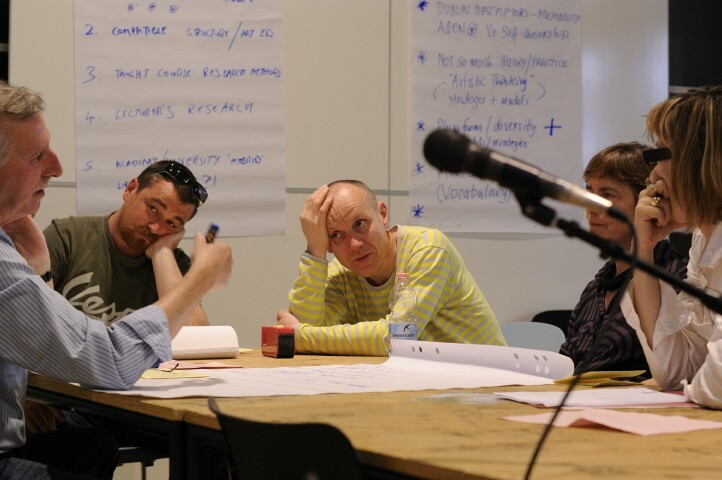 As a MaHKU student, you will gain access to the European Artistic Research Network (EARN). MaHKU co-founded this network with the Finnish Academy of Fine Art in 2004 to promote international recognition for the contribution of artistic research to a broader critical debate. In collaboration with graduate programmes of the Slade School of Fine Art in London, Gradcam in Dublin, Sint-Lukas in Brussels, the Academy of Fine Arts in Vienna, Gothenburg University, University IUAV Venice, Centre for Practice-Led Research in the Arts - University of Leeds and Malmö Art Academy, yearly seminars take place enabling the exchange of ideas and research programmes, in order to expand the field of artistic research.